Please contact the webmaister if you can put a name to a face. July 2013 (GlescaPal weeger) Jack Dougal, Ayrshire. Webbie, front row 3-Jean Glen-a neighbour of mine in Avenue Street. 3rd row 11- John Lyons- from Montomery Street. By the way mah cousin Margaret Mechan (1- e) wouldn't be happy about the misspeling of her name. Neither would mah mammy, or her brothers ,or mah granda. 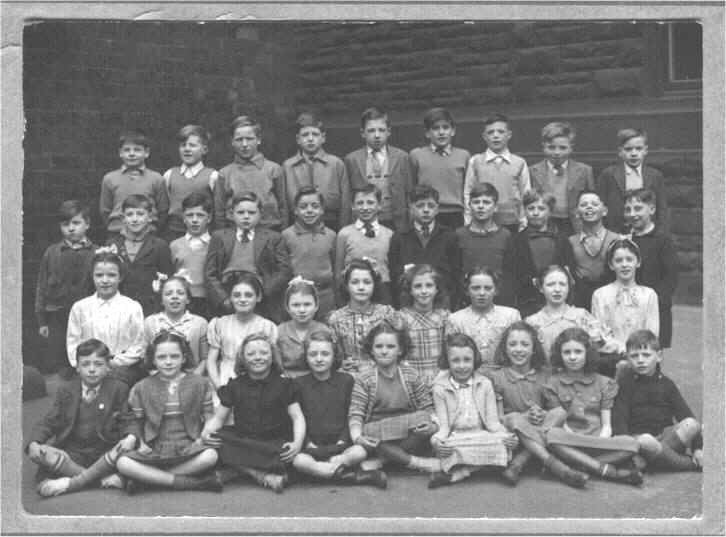 Ah believe Ah will be able to provide some names to the recently added 1949 photie, but will have to check first with mah sister, who Ah think may be in it, but wrongly identified.